When I was down in Austin, TX for work last month I popped into Royal Blue Grocery for a quick bite in the morning, and tried a breakfast burrito for the very first time in my life. What was I thinking? Thirty years on this earth before I tasted a breakfast burrito! I managed to eat a new flavor combination every morning for the rest of my trip, and when I got back I was determined to recreate them at home. 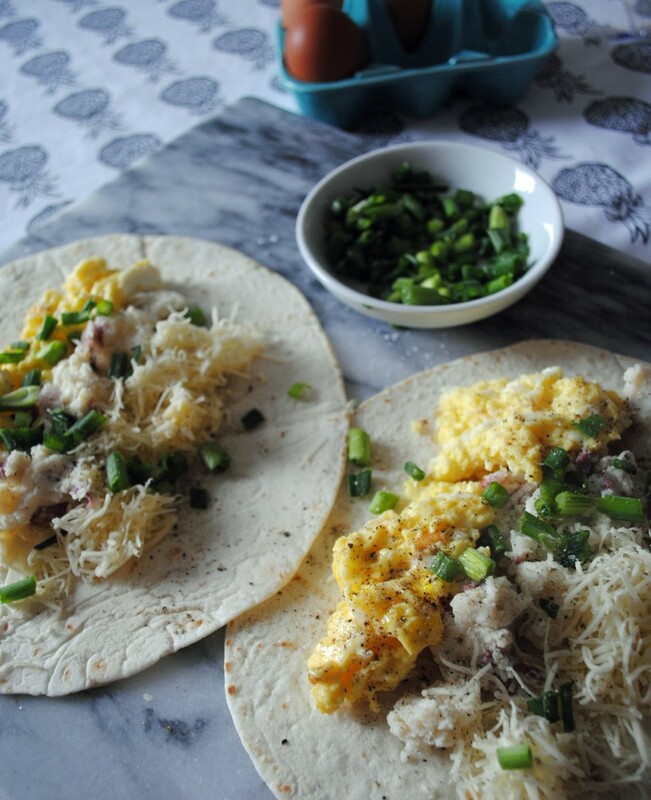 One of the best versions I ate had chopped up potatoes inside so I decided to take this concept to the next level: I used steamed tortillas to roll-up scrambled eggs, melted sharp cheddar cheese, chopped up fresh scallions, and some red-bliss mashed potatoes with lots of salt and pepper. Oh-em-gee are these tasty, and such a good way to use up leftover potatoes from dinner the night before. 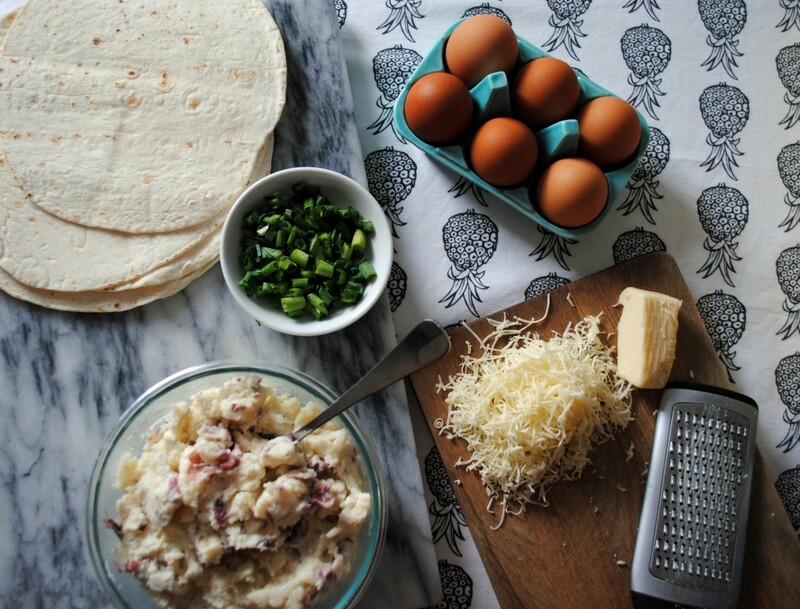 If you’re feeling really crazy try adding some chorizo too! DIY Party Drinkware. Derby Day DIY. 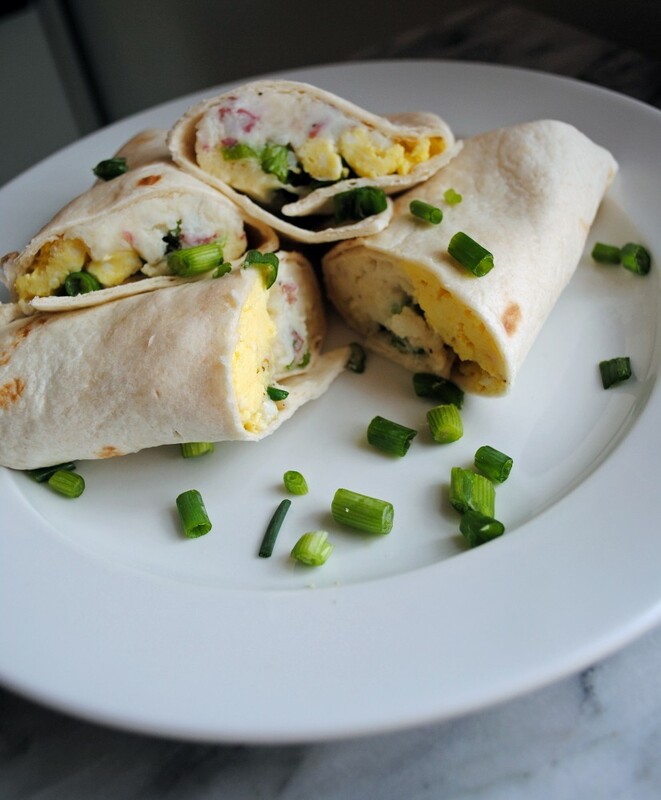 5 Responses to "Breakfast Burritos." Yum! I went to school in Austin (hook ’em!) and definitely miss breakfast burritos/breakfast tacos. Annas is pretty good, but nothing compares to the real deal. Black beans are my required ingredient, but potatoes are a close second! 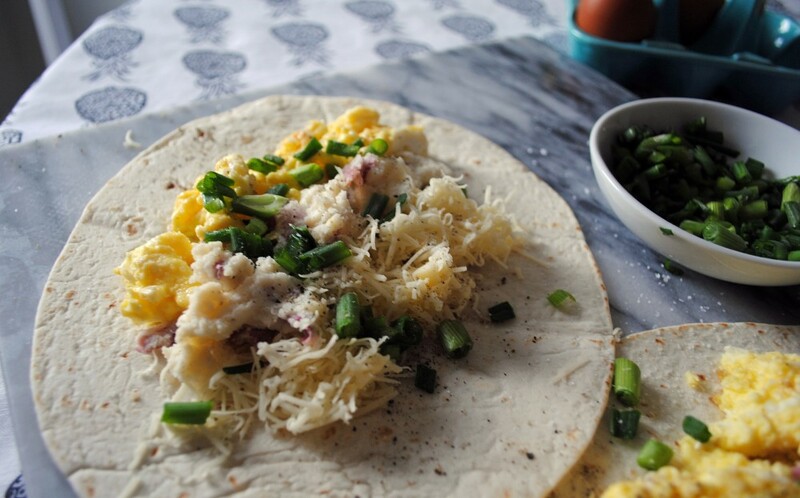 Ha, it’s always so funny to see other people trying breakfast tacos/burritos for the first time since they’re practically a food group around Texas! So glad you enjoyed them and yours look awesome too! 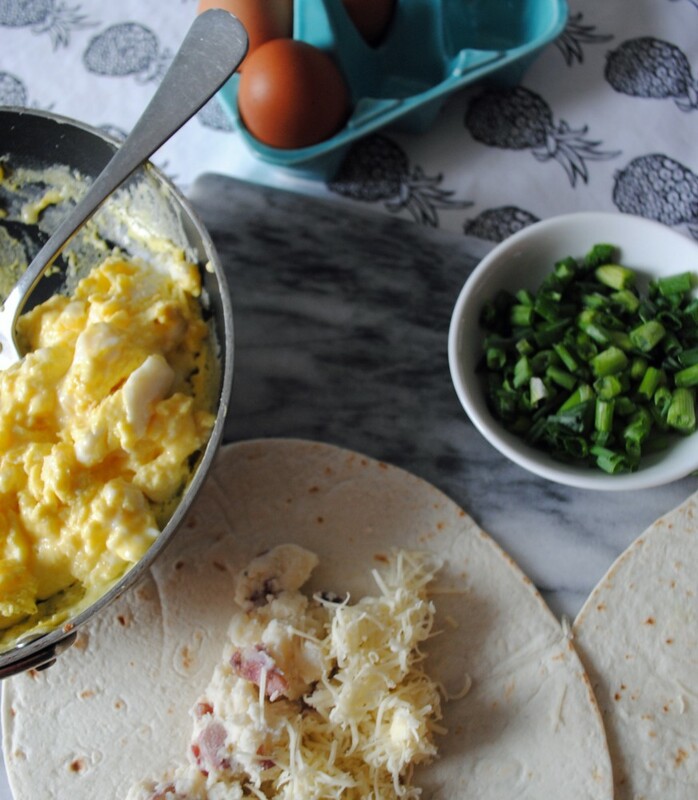 Oh god breakfast burritos are liiiiiife. So good. 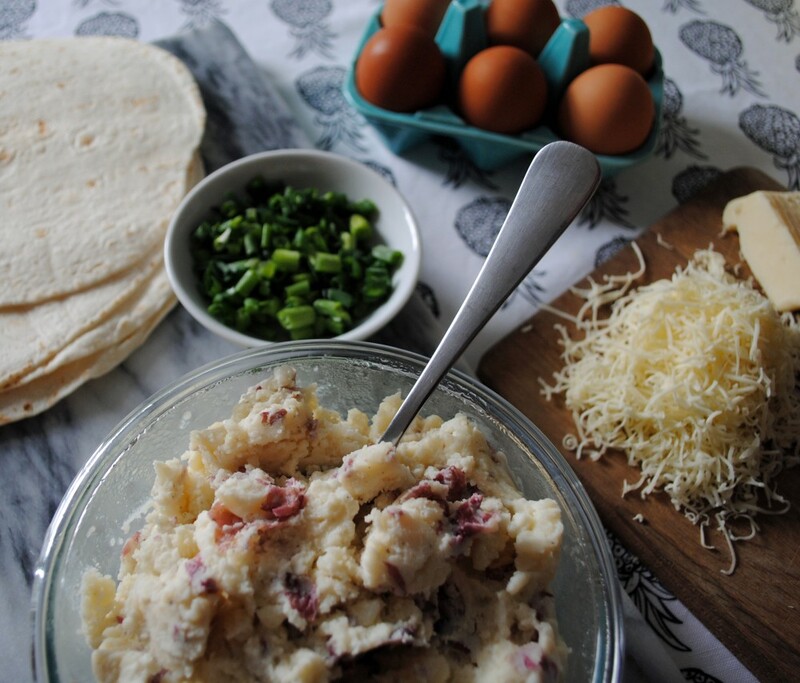 Never thought to use leftover mashed potatoes! So smart!